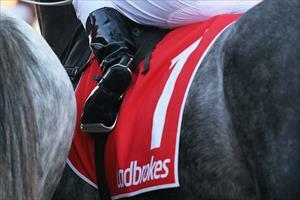 Crafty Lion looks to have a good chance to break his maiden at Geelong on Thursday. The four-year-old runs in race two, the Maiden Plate over 2224m where he will be ridden by Patrick Moloney and jump from barrier two. Mike Moroney and connections have been patient with the son of Mastercraftsman who has raced just five times. Crafty Lion made up ground to finish fourth last start over 1700m at Warrnambool and Mike Moroney feels Thursday’s race represents a good opportunity. “It does look like he’s landed in the right sort of race for him,” Moroney said. “He’s improved in condition and looks really well - he’s built into this campaign is going the right way.